I put the worksheets in my students' binders for them to complete during binder time, and we use the flashcards in both our language and binder time as well. 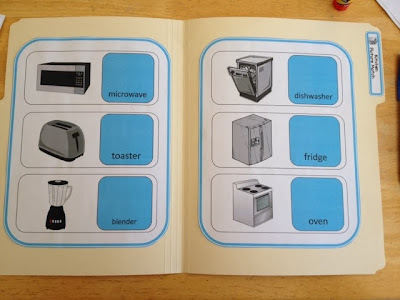 The directions on the worksheets include pictures to help non-readers understand how to complete the worksheets independently. 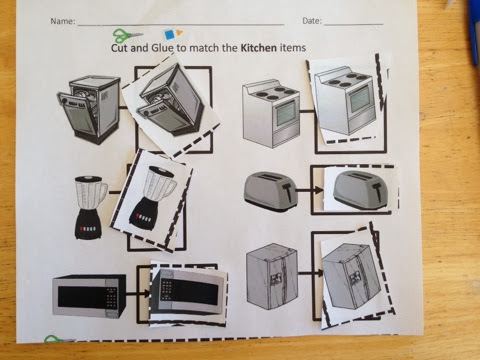 And worksheets are differentiated so most students are able to access the worksheets, such as the dotted lines seen in the worksheet below. Head on over to TpT to check out this packet for yourself! 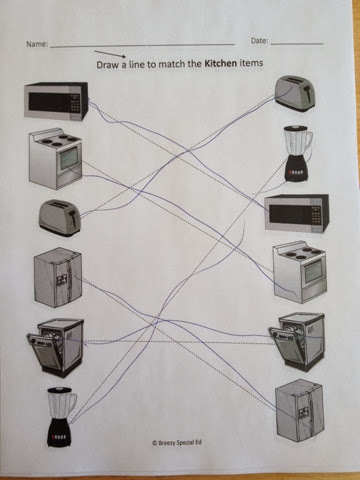 Hello, if I were to purchase the Kitchen Unit will I be able to edit in spanish?